Hello. How are you? Lovely. 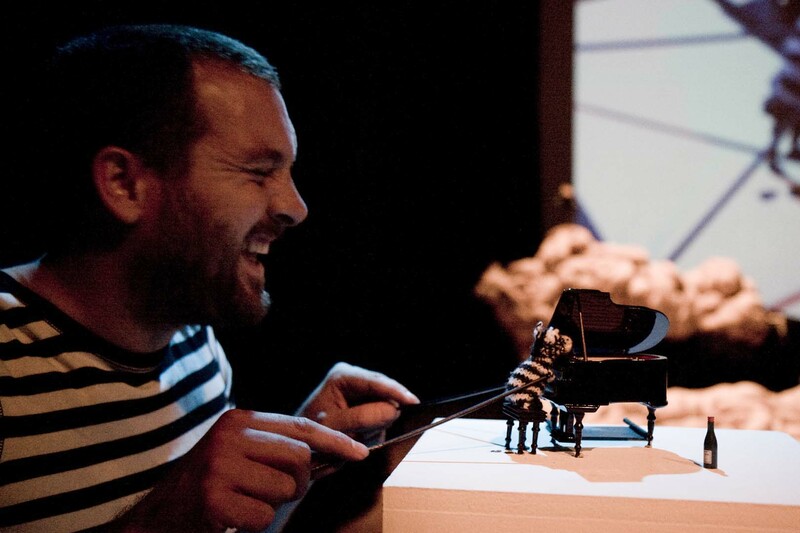 Colossal Crumbs is a theatre company who make theatre shows for people. The company was born in 2009 from the brain of Annie Brooks. After meeting an array of characters at the PAVA course at Brighton University and after endless cups of tea, she was inspired to put all of the strange characters that were dancing around in her head out into the world in the form of puppets, drawings and well, theatre shows. The company is formed of the amazing and ingenious brains of Ulysses Black, Howard Sivills, Jack Stigner, Han Nicholls, Sarah Delmonte and Annie, who work together to create fun and surreal stories with extraordinary visuals to entertain and feed the imaginations of human beings of all ages. The Crumbs use a mixture of traditional and unusual mediums to create set, puppets and props including animation, textiles, tights and edible baked goods. Puppets are an important part of the making, enabling these odd creatures to come to life and frankly, to make it possible for a tomato to be the protagonist of a theatre show (after all, tomatoes need to have their say too). And that's aboot it. For more information on ze company and our shows, plod around our wobbly wobsite - you may just find some delicious internet treats. Copyright ÃÂÃÂ© 2015 Colossal Crumbs. All Rights Reserved.